Mid-June, Swiss chard time. 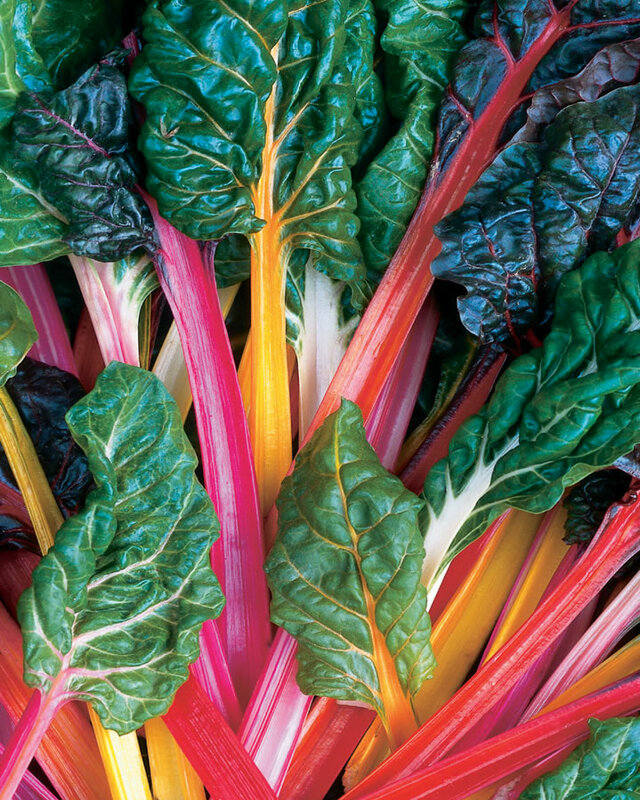 A relative of the beet, Swiss chard is grown for leaves instead of a bulbous root. Usually the leaves are large and green, some with colored veins. The stalks, upright and crunchy, can come in a variety of colors, such as: red (Scarlet, Ruby, Rhubarb, and Charlotte); orange, purple, gold, pink and red (Rainbow); gold (Golden Sunrise); red and white (Peppermint Stick); and white (Fordhook Giant). Probably the most well known is Bright Lights, an All-American Selection in 1998. 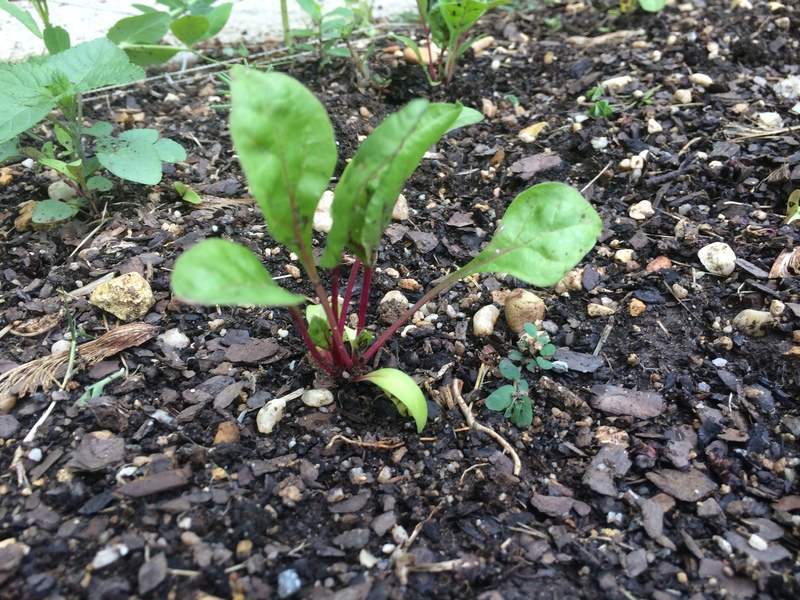 Swiss chard is very easy to grow; very easy to start from seed outside. Because of the colorful stems, I use Swiss chard in the front of the house, just like zinnias and marigolds. So far I have had no pests or diseases although I am sure deer would find Swiss chard very tasty. There are small, container-sized varieties for adding color to the deck but usually the plants grow at least one foot in my garden, in full sun. I start them by seed in the beginning of summer and use them as a succession crop to my pak choi which has bolted by now. About a month ago, I planted some seeds in containers on the deck, thinking I would transplant them later. 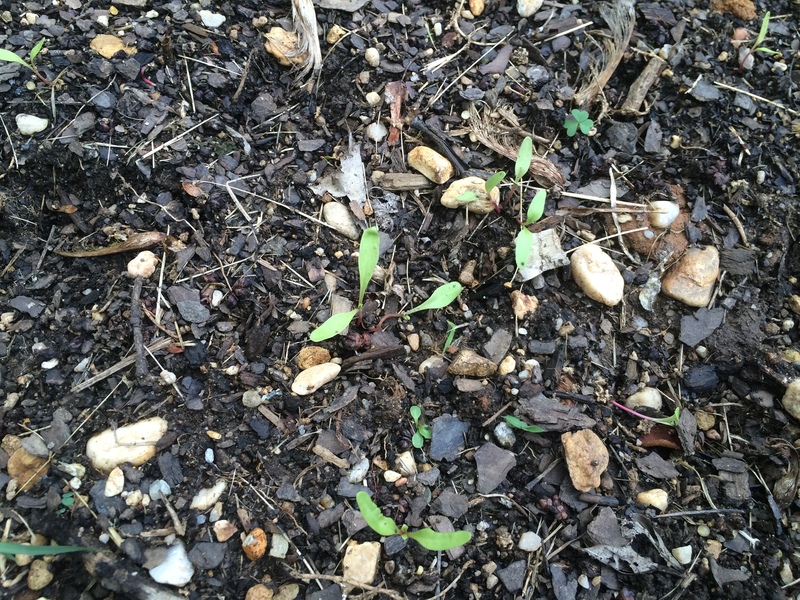 Then, about two weeks ago, because the pak choi had bolted so fast, I scattered the remaining seeds in between the pak choi and waited until the seeds had germinated and grown enough to be able to distinguish them from weeds. I then pulled the pak choi and weeds allowing enough sunlight for the Swiss chard seedlings to thrive. I transferred my transplants from the containers to the front strip in between the seedlings. So now my bed is a mixture of Swiss chard seedlings and 3-inch transplants. I don’t know how this patch will look in a few weeks but I know it will be colorful and edible. I had a variety of packages that I wanted to use up (Fordhook Giant, Lucullus, Bright Lights, and Red) but next year, I could try a bed of only Bright Lights or only Peppermint Stick (that will really add a “wow” factor!). In a few weeks, I will cut the outer leaves for quiche or salad, leaving the remaining, younger leaves for the plant to continue to grow. Both leaf and stem can be eaten raw or cooked, like spinach. The stems are so colorful though, there has to be something more creative that can be done with them, like pickled or candied Swiss chard stems. Any ideas? This entry was posted in Uncategorized and tagged All-American Selections, Bright Lights, Charlotte, Fordhook Giant, Golden Sunrise, Lucullus, pak choi, Peppermint Stick, Rainbow, Rhubarb, Ruby, Scarlet, Swiss chard. Bookmark the permalink.